This month's topic is our secret (or not-so-secret) Disney obsessions! I don't really have a secret Disney obsession ... all mine are very much out in the open! 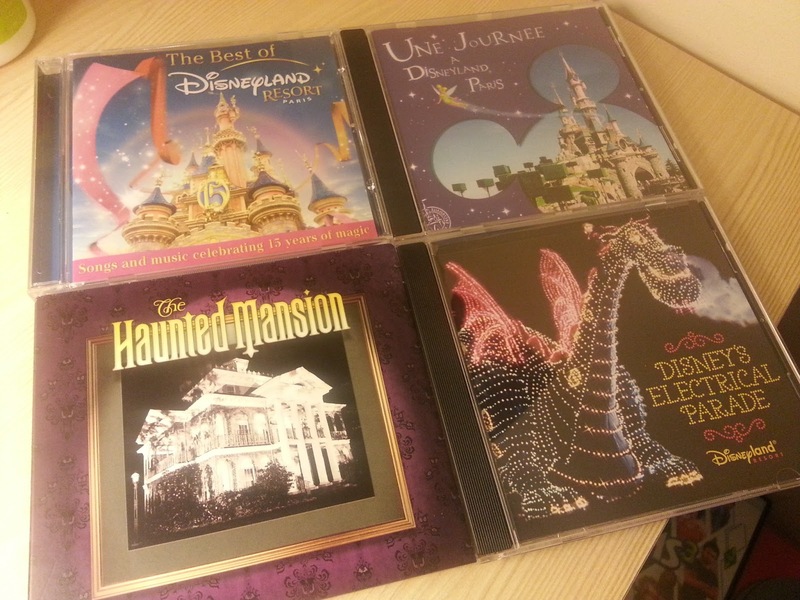 Apart from being obsessed with all things Disneyland Paris (which I thought was a bit obvious) I love to collect as much Disney music as I can! The reason it's not so secret? I blast it out my speakers whenever a need a pick me up! I have loads of music from Disneyland Paris parades and shows, as well as plenty from Disney movies ... check out just some of my collection! I think I got these round about 2003 in Disneyland Paris :) My whole family went to Dlp that year for my mum's birthday so these bring back loads of awesome memories! Happily Ever After is a collection of instrumental Disney Love songs ... perfect for relaxing to on a summers night :) I also love the wall-e soundtrack which comes in all recycled packaging! The Legend of the Lion King Soundtrack is from 2005 I think :) this was an amazing show held in the Videopolis Theater in Discoveryland, Dlp. 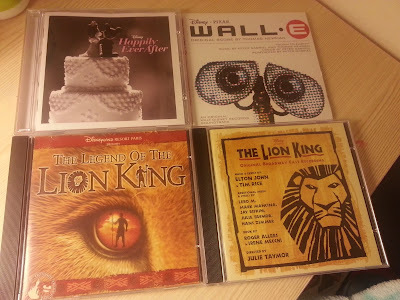 And the Lion King Broadway Cast Recording is from the Lyceum Theatre, London, where I went to see the show in 2009! The Haunted Mansion and Disney's Electrical Parade are both from Walt Disney World! I got them on my trip to Florida in 2011 :) I've always been fascinated with the Haunted Mansion and couldn't wait to see how it compared to my home-park's Phantom Manor! And the Electrical Parade took me right back to Dlp 1992 when I visited for the very first time! I couldn't believe it was in Florida when I went! What's your favourite Disney Music?? I too am obsessed with Disney music and it's NOT a secret! I buy every soundtrack that I can get my hands on. I listen to the parades and fireworks shows as much as possible to get my mind to a happy place. As you know, I've never been to DLP, but I listen to Sorcerer Radio ALL day long and I LOVE "dancin' a catchy rhythm!" It's so upbeat and happy! Thanks for sharing! I still love the Lion King soundtrack! It was THE anthem of my adolescence LOL! New reader here. We found your page while riding the blogorail. 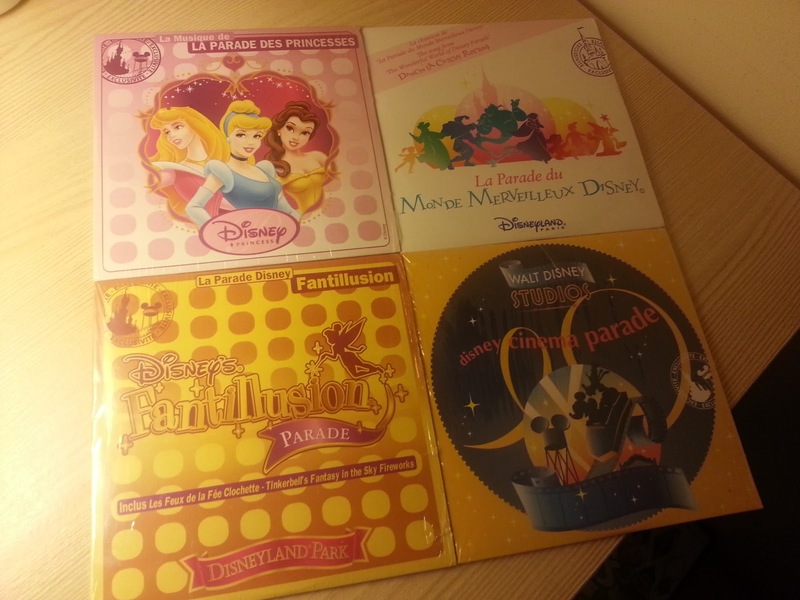 We love any parade music and have purchased some parade CDs. They come in handy for when our kids want to play Disney! I have been collecting Disney CDs for 21 years now. Once I went to Paris by bus to get the "Sleeping Beauty" Soundtrack from, I think 1995, because it contained "Blue Bird", my favourite tune. Everytime there is a new Broadway Musical, I don´t cry because I am too poor to fly to NYC, but I am happy to hear the Cast Album ad nauseum :-).